316 stainless steel is typically ranked second amongst austenitic alloys in importance, only being beat out by 304 stainless steel. 316 Stainless Steel – Source 21, Inc.
As the standard molybdenum-bearing grade, the molybdenum alloy provides 316 stainless steel with corrosion-resistant properties such as a high resistance to pitting and crevice corrosion in chlorine-contaminated media. Common applications of 316 stainless steel include laboratory equipment, food preparation equipment, heat exchangers, chemical containers, boat fittings, welded screens and architectural trim. 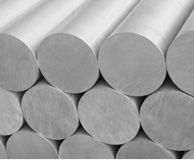 Although it is deemed the marine grade of stainless steel, 316 stainless steel is also utilized in industries such as medical, manufacturing, automotive, aerospace, construction, electronics, defense and petro-chemical. Additional advantages of 316 stainless steel are high tensile strength and the ability to maintain mechanical integrity at both extremely high and extremely low temperatures. Possible alternative grades to 316 stainless steel include 904L, 2205, 317L, 316N and 316Ti, which offer similar properties as well as providing increased tensile strength or corrosion resistance depending on the grade. The 300 level grades of stainless steel are very similar to the 200 level, except for slightly high levels of chromium and nickel, which make them slightly less attack-resistant. A non-magnetic grade of stainless steel, 316 stainless steel specifically contains 16% chromium, 10% nickel and 2% molybdenum. Usually sold in the annealed, or softened condition, 316 stainless steel can be hardened by cold working but not through heat treatment due to the high carbon content. A version of 316 stainless steel with a much lower carbon content is available, referred to as 316L stainless steel. L-grades of stainless steel have a .03% carbon content maximum, allowing for increased resistance to sensitization from heat treatments. However, 316L stainless steel also cannot be hardened by heat treatment, but through cold working. Instead, the resistance to sensitization makes 316L stainless steel incredibly useful in heavy gauge welded components due to its increased creep, stress-to-rupture and tensile strength at high temperatures. In addition, 316L stainless steel is much easier to machine than 316 stainless steel due to its decreased carbon content. Overall, both 316 stainless steel and 316L stainless steel offer excellent toughness due to their austenitic structure. 316 Stainless Steel A highly popular grade of stainless steel, 316 stainless steel is an austenitic alloy that offers high corrosion resistance as well as having excellent characteristics for forming and welding.